I’m 49 and still a kid! I was born and raised on the outskirts of London, England. I hated school but loved English and History. My working background is mainly in office and administration, but I now have a part time job filling shelves and stocking the warehouse, which I love! I have a very patient wife and four cats and tortoise! Tell us about your books/ Which genre do you consider your books to be? My first book is a Science Fiction set story inspired by a 1970’s tv show called Blakes’7. One particular episode gave me an idea! Sadly it took me twenty odd years to get around to trying to write it. 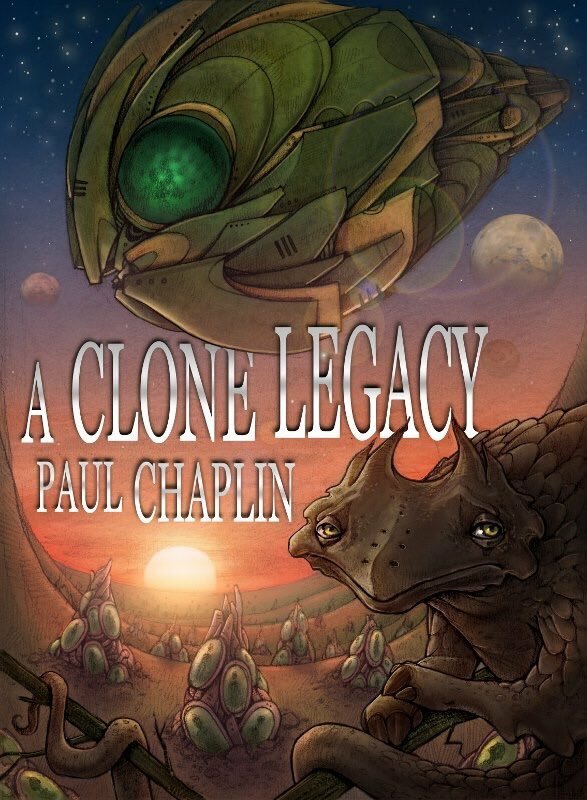 A Clone Legacy is about a lonely middle aged guy who embarks on a journey of discovery. He quickly finds out you are never too old to learn. My second book is a Murder/Mystery and Thriller of a sort. 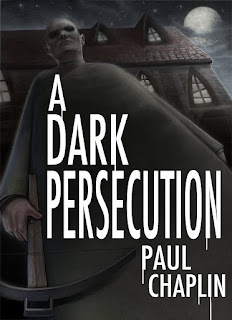 A Dark Persecution was inspired by a nightmare and shows what could happen if you were forced to confront all the people from your past that you have forgotten because you didn’t like them and then of course things turn sinister and fatal. My third A Clone Sacrifice is a return to science fiction and continues the story of book one, where the odds of survival have reduced and some harsh choices have to be made. I didn’t start writing until late 2012. I was in between jobs and just thought I would have a go. I will admit to quite a few false starts but once I got going the story played like a film in my head all I had to do was get it down on to the laptop. I really enjoyed the process and I was hooked. Definitely to fly, uncomplicated travel although my terrible sense of direction could be an issue. Agatha Christie, I wish I could write like her! I have so much respect for the way she constructs her plots. Who is your favourite character to write about? I created a new species in my Sci-Fi books called the Drakna and they are a lot more intelligent than the humans. Yes, I plot plan with a series of events in a timeline (roughly) and then simply write to fill in the gaps and link up the events. Take your time and don’t rush any part of the process. Plus get people lined up to read it before you start writing, the more the better. 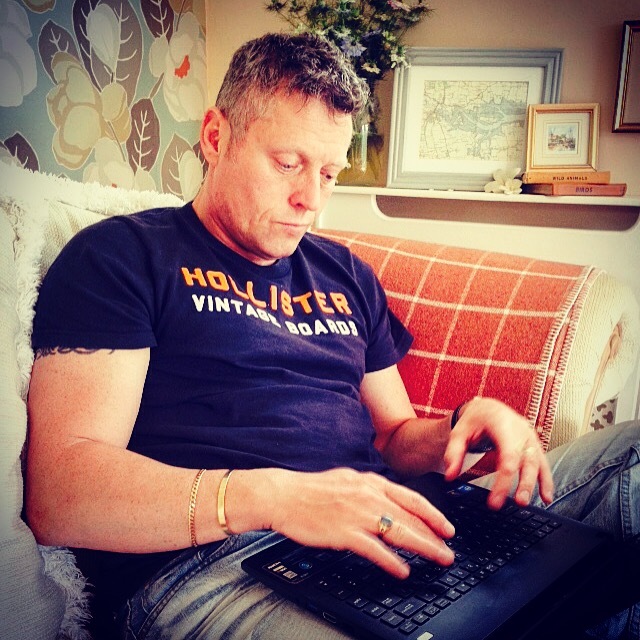 I was given real determination to continue by some family and friends expressing their belief that I couldn’t write. Blacklist & Blindspot & Wallander and 100 Code. Movies would be Star Wars, Star Trek and The Equaliser. Stupidly I’m trying to write two books one after the other! I have plot planned my third Science Fiction book A Clone Evolution and then I will return to the Murder/Mystery and Thriller genre with A Bright Circle of Darkness where a few characters from A Dark Persecution will return in a new and different story. I would love them to try my Science Fiction even if it’s not one of their favoured genres because I think and hope mine is a little different and should have a wider appeal. Visit me on my AMAZON AUTHOR PAGE to borrow any of my books for FREE! Best-selling author of Wake the Dead! On Amazon Kindle here! All maps, names and content copyright Ashenclaw Studios 2014 unless otherwise noted. I’m Juli D. Revezzo and I write a blend of fantasy and supernatural—well, a lot of things, actually. 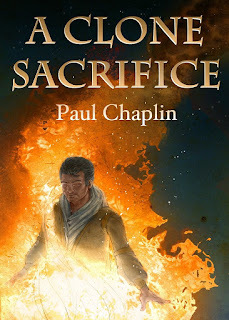 My current list of published works run from the Supernatural suspense series Antique Magic, to my fantasy romance series Celtic Stewards Chronicles. I even released my first steampunk novel, this year, Watchmaker’s Heart. My Antique Magic series is about a woman and witch who has been asked by the gods to help forlorn ghosts with their problems. The genre? 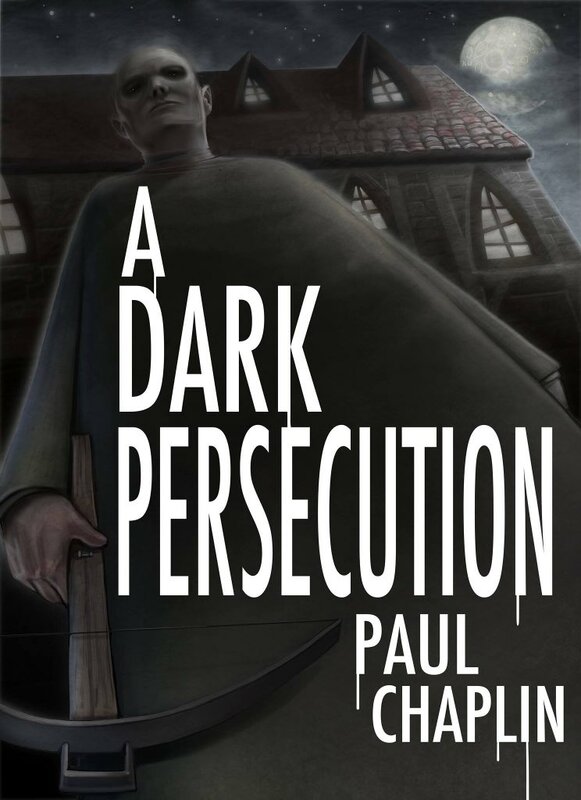 I’d say supernatural suspense with a hint of fantasy. Something of a cross between Charmed, Charlotte Gilman’s “The Yellow Wallpaper”, and Grimm (except Grimm didn’t exist when I first conceived The Artist’s Inheritance, years ago.). My latest release, MOURNING DOVE LOCKET, belongs to that series. I started making up stories when I was a child. I started writing seriously when I was 18. I’ve always been creative, and it’s an outlet. If I didn’t get the stories out, I’d probably implode! *lol* If I’m not writing, I’m listening to music. I can’t draw worth a darn but I’ve tried. I do love photography and fiddle with photo manipulation, from time to time. I’m working on another supernatural fantasy series called Reign of Tarot and have been studying up on the tarot for that. Oh, and I knit a little. See? Creative. But my first love is writing. To heal sickness in man and sea.  Breathing underwater might be cool too. I have a ton! First and foremost, Fantasy author Michael Moorcock, for one. Without him, I probably wouldn’t be writing; I love the gothic authors and poets like Mary Shelley and Poe; Tanith Lee; Patty G. Henderson, Marsha A. Moore, Suzanne G. Rogers, Jolene Dawe and many more indies. Also, the Medieval bards who wrote the Celtic myths the Mabinogion and so forth. They are the major influence on MOURNING DOVE LOCKET—well, honestly it greatly influences both my Antique Magic series and my Celtic Stewards Chronicles. I’m currently reading Spirit Touched: A Caleyna Summoner Tale by Jolene Dawe. I just finished Witch’s Moonstone Locket by Marsha A. Moore and about to start the next in her new series. Caitlin definitely. But I must say, the new girl in Mourning Dove Locket, Maria was fun. She’s a younger character than I’ve written in the past but she’s so eager to know all Caitlin has to share, I enjoyed being in her head. Depending on the day, I’ll do a little research first, make notes, and then start writing for the day. Sometimes, I wake up with an idea and write first, then research. I’ve been known to (more often than not!) get halfway through a draft before I do much heavy research. *ducks* For MOURNING DOVE LOCKET, since this is so far into the Antique Magic series, I made a few notes and when I finally got to a section where research on Cuba was needed (for the ghost) I stopped and went on the research spree then went back to writing. And then I’ll usually just write all day, stopping here and there for social media and sanity breaks and such.  But like I said, my daily process changes from day to day. Write and read as much as you can. Unlike other advisors, yes I think you should read in the genre you wish to write in. However I also think you should read as widely as possible and don’t get too stuck on labels. From experience, I can tell you sometimes, genre, is in the eye of the beholder! So my best advice is don’t limit yourself. While studying literature in college I realized there might actually be something of a career to be made out of my passion. And so, I thought it a great fit for me. 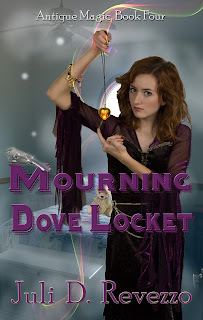 Well, I just released the latest instalment in my Antique Magic series, MOURNING DOVE LOCKET. I’ve also got more edits on other things: I’ve got a follow up to my story “House of Cards” on deck for sometime this fall (I hope) and the follow up to my paranormal romance Druid Warrior’s Heart to get out. Vanilla or chocolate ice-cream? Both. Mix strawberry in with it and it’s awesome. What are 3 things you never leave home without? My MP3 player, my camera, and a notebook. TV or Movies? These days? Movies, hands down. Thanks for having me here today, Gary! It was fun.